"A family run hotel in this pretty resort, expect a cosy environment and hearty Austrian food. The Zum Hirschen is ideally located a few minutes walk from the main gondola and the village centre. 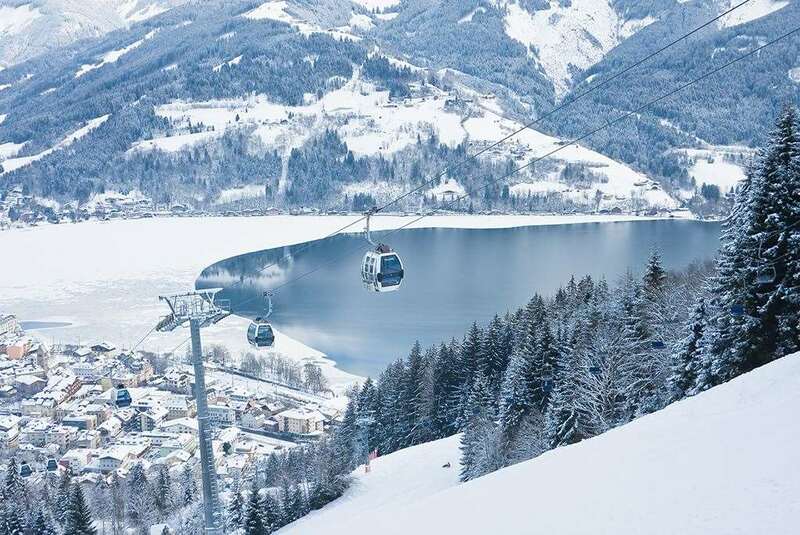 Zell is a great resort with a range of skiing possibilities. There is high altitude glacier skiing above Kaprun, along with tree lined runs back into Zell. The après ski is famously lively! The family-run Zum Hirschen is decorated in traditional Austrian style and offers a good standard of accommodation in a convenient location. With award-winning cuisine (1 Gault Millau toque), it is a firm favourite with guests. The whole hotel is non-smoking. In a central position at the entrance to the pedestrian area 1-2 minutes' walk (150m) to the City Xpress gondola. Junior suites have bath and seating area and singles have shower. Family Rooms sleep up to 4 and have bath or shower. Larger 2 room suites sleeping 3-5 have bath or shower and lounge area. All rooms have cable TV, telephone, radio, safe, minibar and hairdryer. Balcony can be requested for all room types. The hotel was everything your adviser had described: comfortable, convenient, welcoming and with excellent food. Our only ( minor ) gripe would be slight meanness with soap etc. in the bathroom. We had a room on the third floor which was quiet. The skiing was excellent for intermediates as were the beautiful views round every bend. The only real negative was Salzburg Airport which really cannot cope with the volume of passengers in February. We had to queue 15 (!) minutes for the toilet on arrival and on departure there were enough seats for one plane load of passengers, let alone the 8 flights that were boarding when we were there. Overall an excellent holiday! Brilliant snow, great weather and superb hotel - one of the best of our 30 or so ski holidays. Before we went, we hadn't realized the variety possible with a Super Salzburg pass, so two days in Saalbach, and a day in Kaprun and Maria Alm proved wrong any fears that skiing at Zell am Zee might be limited. Very attentive reps, excellent meals - even relatively inexpensive on the slopes - a great holiday! !